A malware scam is making its way to a wide range of Mac users recently. It works by putting malicious links at the top of search results and tricks users into accidentally clicking them. After doing so, a fake virus scanner pops up on the screen. 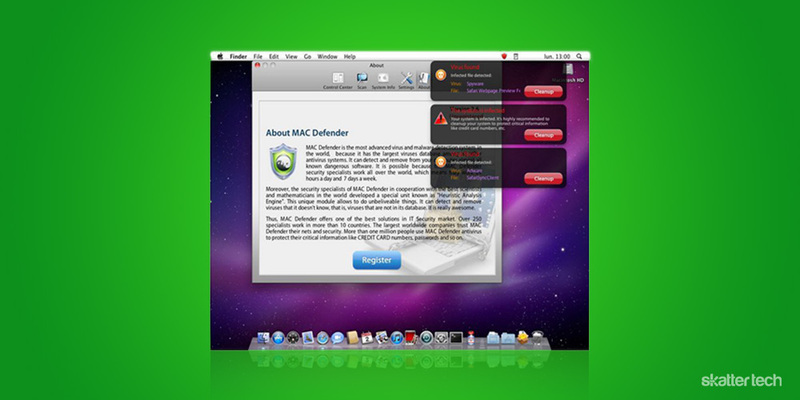 It then falsely informs the user of potentially harmful software on their computer and recommends downloading an even more dangerous application: MacDefender. The scam soon gets even worse when it prompts the user to provide credit card information before downloading the fake anti-virus removal tool. If any notifications about viruses or security software appear, quit Safari or any other browser that you are using. If a normal attempt at quitting the browser doesn’t work, then Force Quit the browser. In some cases, your browser may automatically download and launch the installer for this malicious software. If this happens, cancel the installation process; do not enter your administrator password. Apple has promised to deliver a software update for all Mac OS X users that will automatically find and remove Mac Defender, also known as Mac Protector or Mac Security, within a few days. It will also prevent users from accidentally stumbling onto it. While these types of threats are relatively new for Mac users, Windows users have been experiencing scams and viruses of all sorts for years now. In fact, this exact type of scam — i.e. one that tricks users into downloading fake anti-virus software — is now almost infamous. Critics have said in the past that as the Mac becomes more and more mainstream, it will begin to face the same issues which have haunted Windows advocates for so long. As of April 2011, Mac OS X had a worldwide market share of approximately 5.4% according to Net Applications. Windows remains strong at 88.91%, but has declined by about 2.5% in the last ten months while Mac usage continues to grow. 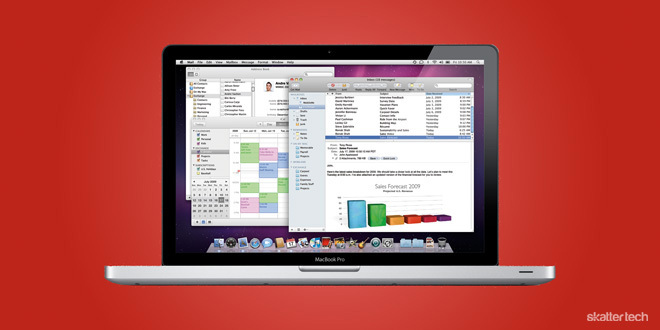 At this rate, could Mac users see a rising amount of threats in the future? It is plausible, but still a concept that should be taken lightly. Mac Defender screenshot courtesy of Ubergizmo.